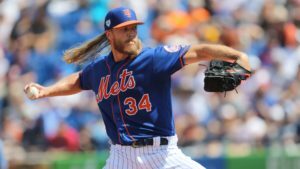 After dropping the last 2 in their series in Atlanta, the Mets head north (no, not Game of Thrones north) to Philadelphia for a 3 game set with the Phillies. The Mets had won 2 of the first 3 in Atlanta and seemed poised to take the series 3-1, but Jacob deGrom had another tough outing as the Braves took the series finale 7-3 on ESPN last night. The Mets head into the series with a record of 9-6 and are tied with the Braves for 2nd place and are a half game behind the first place Phillies who are 9-5. Let’s get to it! Thor comes into the series opener 1-1 with a 4.74 ERA. He has pitched better than that ERA and if you remember he gave up several runs to the Twins late in his last start. He has 20 strikeouts in 19 innings and a WHIP of 0.79 so it is easy to see that he has run into some bad luck. As Rodriguez has said time and time again, he needs to get that change-up to right around 88 mph and get the hammer going early and if he can, it’ll be lights out! The Phillies have done well against Thor in the past – Harper .292 in 24 abs, Cesar Hernandez .364 in 22 abs and Hoskins .364 in 9 abs. Aaron Nola is having a rough go of it early on in 2019. He has yet to lose a game, but he is pitching to a 6.46 ERA along with a WHIP of 1.43. Not exactly encouraging. His velocity and his control have been all over the place so far. He’s already given up 5 home runs while walking 8 and giving up 14 hits in 15.1 innings. The Mets have some powerful bats in their lineup, so if Nola is off it could be a long night. The Mets that have faced him the most have struggled against him – Conforto .143 in 21 abs, Nimmo .167 in 12 abs, Rosario .200 in 15. Steven Matz has been the Mets ace early on. He has pitched at least 5 innings in each of his first 3 starts and he has given up no more than 2 runs in each outing. He is also pitching to a 1.65 ERA early on. The bigger bats in the Phillies lineup have not done well against Matz as Harper and Hoskins have hit .235 and .100 against him respectively. 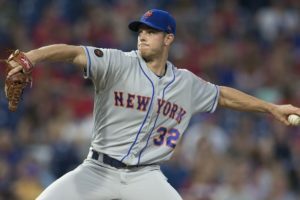 Matz will need to keep the ball in the yard or risk having a meltdown as he is still easily frustrated. Speaking of struggling on the mound early on, Nick Pivetta is pitching to a 9.45 ERA and a 2.18 WHIP in the early going. It has not been pretty for him so far as opposing hitters are batting an amazing .381 against him. He won his first outing despite giving up 4 runs in 5 innings, but he took another pounding his last time out as he gave up 7 runs in 3.2 innings against the Nationals. 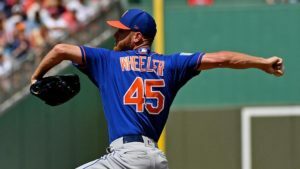 Wheeler was unable to build on his outstanding second half of 2018 in his first start against the Nationals but seemed to have bounced back in his second start against the Braves as he gave up 2 runs over 6 innings in a win. His WHIP and ERA remain very high after he was left in the first start just a bit too long. Wheeler has yet to lose in Philadelphia (3-0) and he owns a 3.96 ERA there which is not bad for that ballpark. Harper owns a career .190 average against Wheeler. Jake Arrieta has been Philly’s most consistent starter early on in 2019. He got his 100th career win last week against the Marlins and seems to be throwing his change-up a lot more often in the early going. Arrieta will enter the game with an ERA of 2.25 and a WHIP of 1.15. He is 2-1 so far with wins against the Braves and Marlins and his loss coming against the Twins.